Doc I want to ask, I am suffering from diabetes mellitus. Does the pain affect my dental health? Why every brushing teeth always bleed. In fact, I've been using the toothpaste is recommended. In addition, I also had to avoid eating cold and heat. Almost all of my teeth and shake well have bad breath? Please explain. Thank you. Diabetes mellitus and oral health are closely related, especially with the tissue supporting the teeth. Diabetes mellitus is a complex metabolic disorder characterized by chronic hyperglycemia, namely the reduction of insulin production, impaired insulin action, or a combination of both that results in the inability of glucose to be transported from the bloodstream into the body's tissues. Resulting in increased blood glucose levels and expenditures occurring sugar in the urine. Some changes in the oral cavity that occurs in diabetics, among others, on the corner of mouth sores, dry mouth and mucous cracked, burning sensation in the mouth and tongue, reduced salivary flow, as well as its impact on the number of bacteria in the oral cavity is dominated by Candida albicans, hemolytic Streptococcus, and Staphylococcus. Increased risk of cavities are also found in patients with poorly controlled diabetes. While changes in the supporting tissues of teeth that occurs in diabetics, among others, a tendency to swelling of the gums, gums polyps, polyps proliferation gums, abscess formation, infection of the supporting tissues of the teeth (periodontitis), and tooth loss occurs. However, the most striking changes in patients with uncontrolled diabetes is reduced and the immune system are more susceptible to infection, which causes damage to the supporting tissues of the teeth. Especially after age 30, people with diabetes are more at risk for damage tissues supporting the teeth. The majority of studies that have been conducted, showing the prevalence and severity of dental disease advocates higher in diabetics than non-diabetics. Including the increase in tooth supporting tissue attachment loss, increased bleeding gums, and increased tooth mobility. 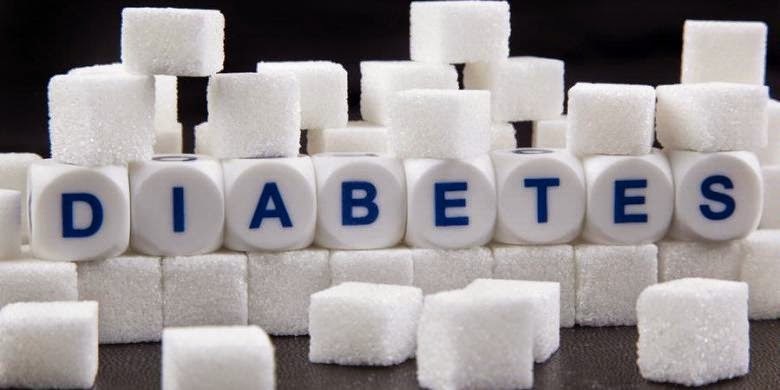 Causes of diabetes are prone to infection due to increased glucose in the gums fluid and blood, polymorphonuclear white blood cell deficiency, increased activity and decreased collagen synthesis of collagen. All this will change in the environment of microflora in the mouth, bacteria that cause qualitative changes. So that people with diabetes are prone to infection and result in diseases of the supporting tissues of the teeth. 1. Conduct annual control diabetes related to Specialist Doctors. 2. Visiting Dentist regularly to examine the entire oral cavity. 3. Perform routine checks on Periodonsia Specialist Dentist (Drg., SpPerio), specifically to deal with the symptoms of gum disease and gum disease advocates (among others, bleeding when brushing teeth, gums swollen and red, shiny, and bouncy teeth). 4. Perform routine care at home to brush your teeth and tongue regularly 3 times a day with a soft-bristled toothbrush and proper brushing technique with light pressure, as well as using special toothpaste for gum care. 5. Consuming a lot of water minerals, green vegetables, and fruit to stimulate the flow of saliva in your mouth. 6. Reducing the frequency of refined carbohydrate foods between main meals. Because of how closely between diabetes mellitus and oral health, then you should be diligent in controlling his diabetes and more attention to oral care at home, as well as diligent visiting Dentist. The first step at this time, of course visit the Dentist to tackle gum disease and tooth supporting tissues that have occurred. Then visit the Specialist Doctors for diabetes control. Similarly Mas Reza, get well. Greetings healthy teeth. 0 Response to "Toothache Caused Diabetes"